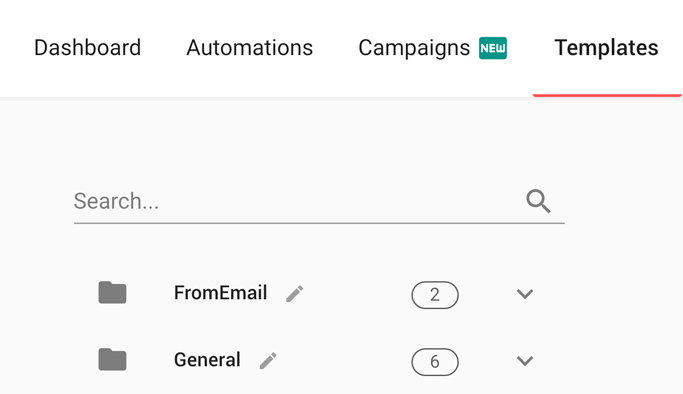 Please note that you can only share your templates with your team only if you are subscribed to our Team or CRM plans ( applies to our Business legacy subscribers). 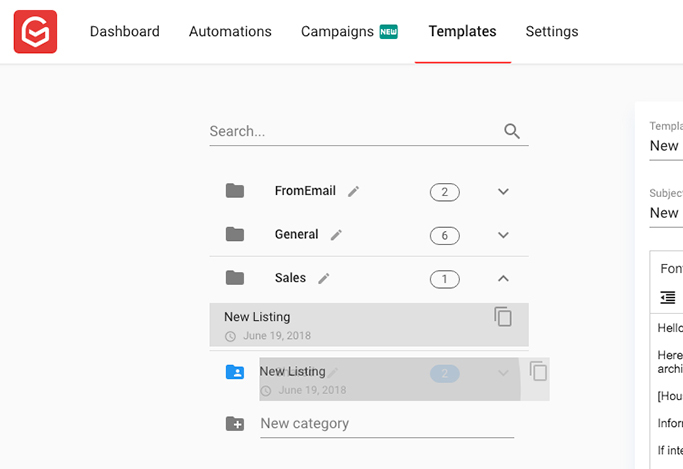 The people you share your templates with will also need to have an active Gmelius account and be part of your team subscription. 1. Go to your "Templates"
You can do so by accessing Template editor inside your dashboard. Open the template you want to share. 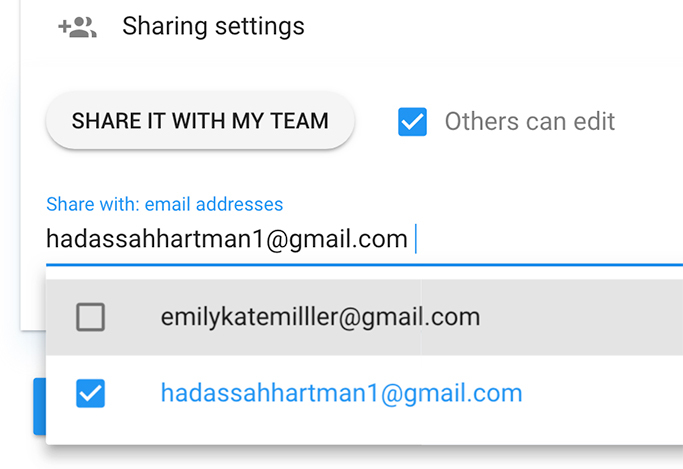 Click on the “Sharing Settings” below an email template and select the email addresses of the people you want to share the template with or using the "Share it with my team" button. 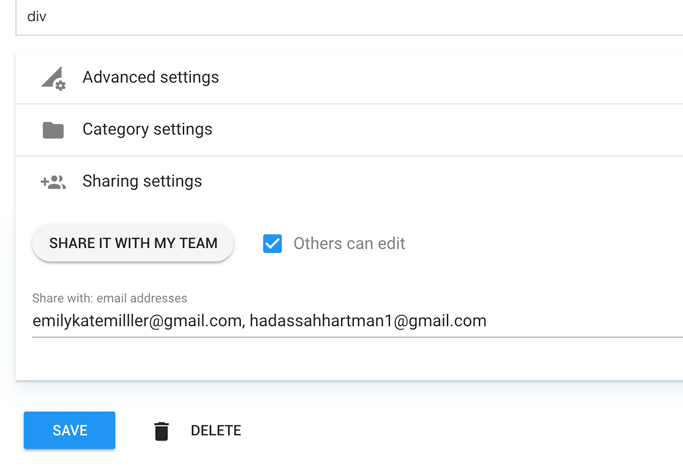 Shared templates are automatically set as “editable by others”, as the owner of the template you can choose to keep your template as is and prevent others from changing it. To do so just click on the tick box next to "Others can edit" and click the Save button to confirm your choice. 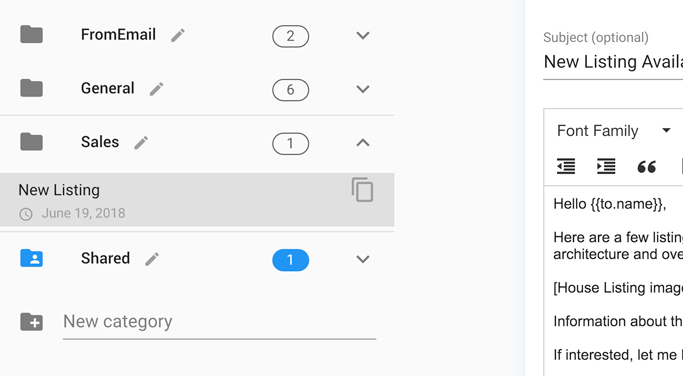 To share a template you can also drag it into the Shared folder on the left side panel. To remove someone’s access to a template just open the templates Sharing Settings, unselect their name and click on the Save button.